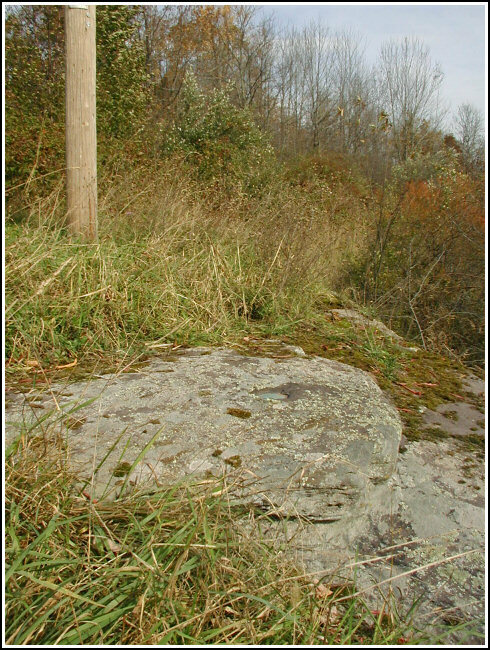 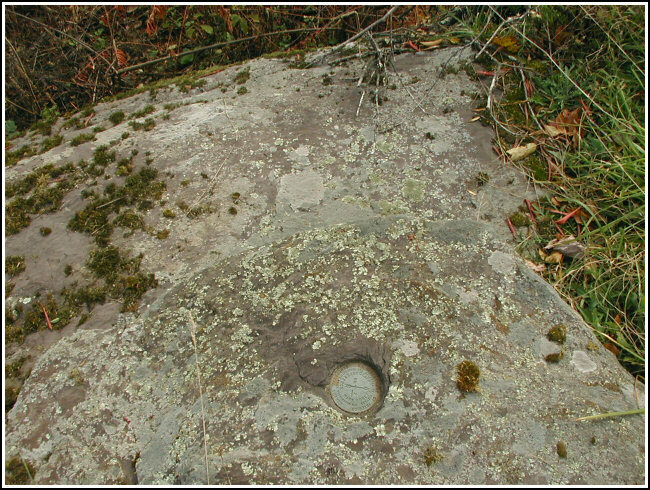 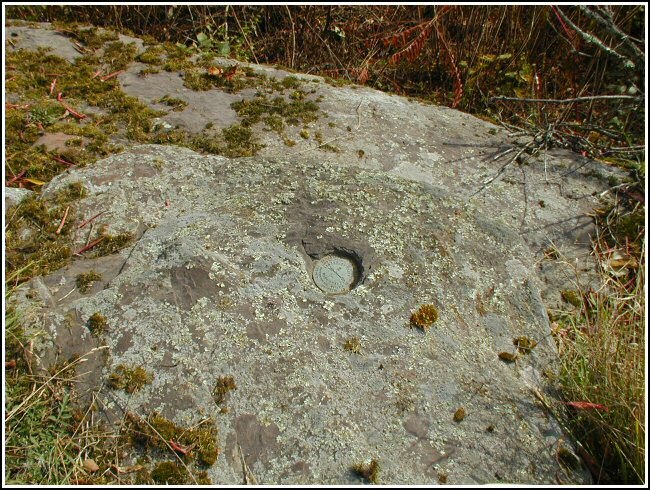 Eye-level view of the mark on the outcropping. 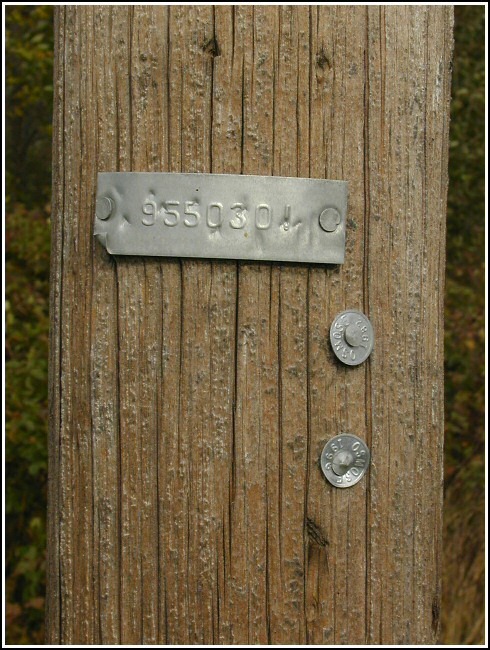 View NNE, showing the powerline pole. 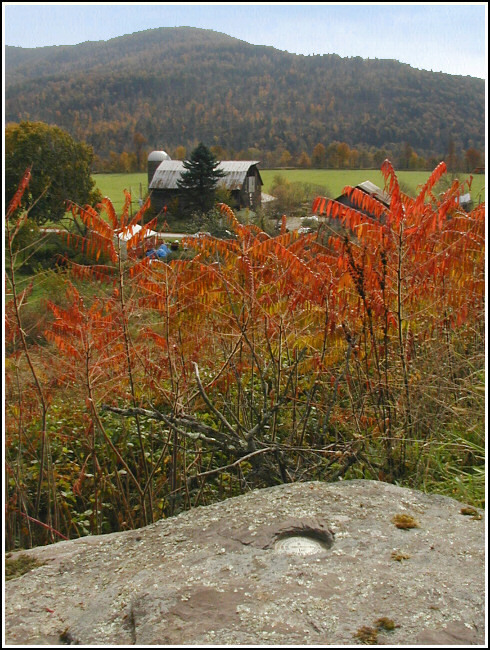 Looking SE toward the farm. 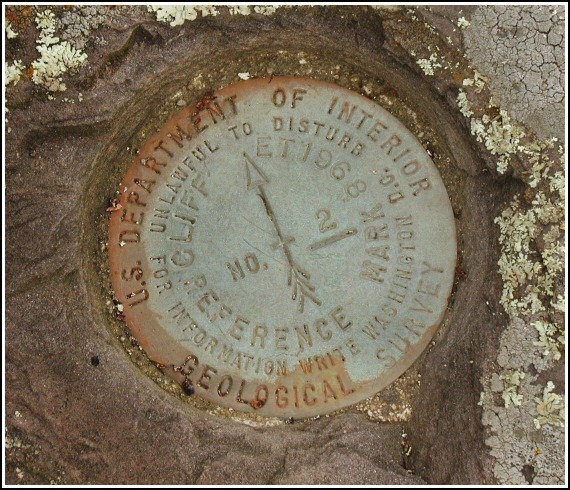 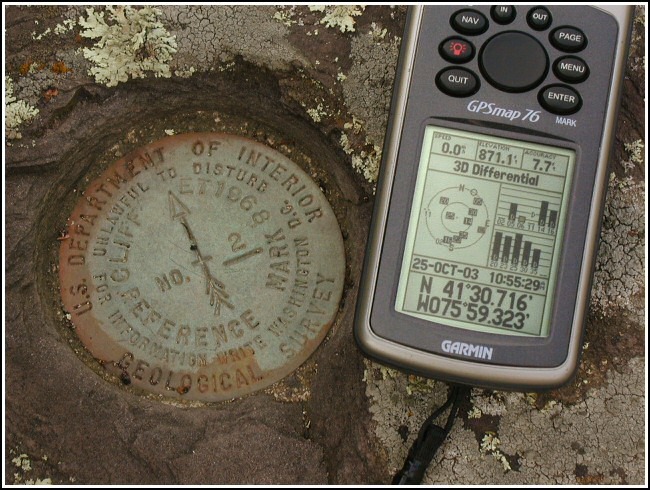 GPSr and the reference mark. 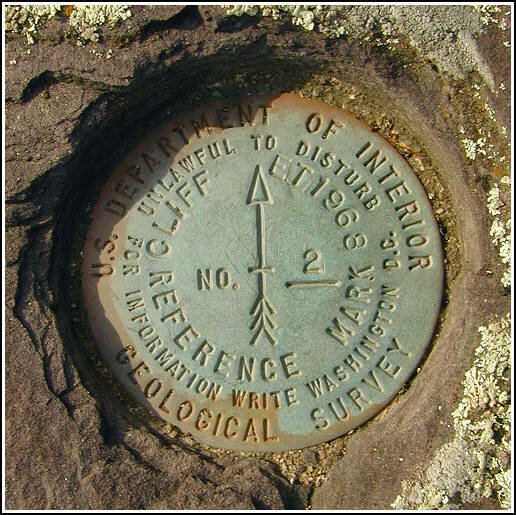 Eyelevel view of reference mark and setting. 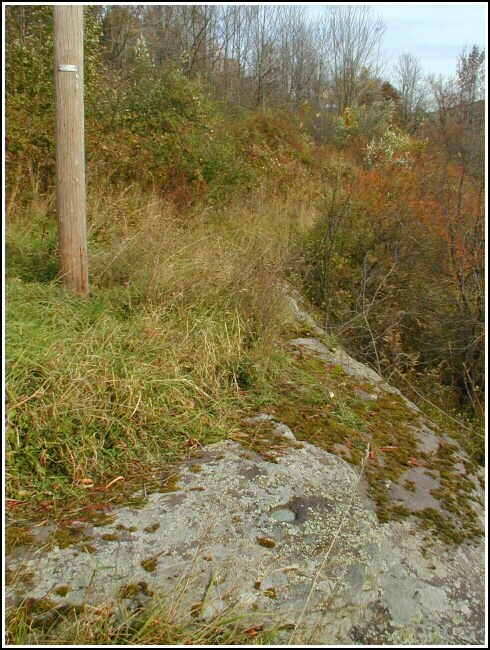 Orientation view to north-northeast, with powerpole.